Dr. Michael Turner grew up in the Birmingham area and attended West End and Jones Valley High School. Upon graduation Dr. Turner enrolled at the University of Alabama at Birmingham. He graduated in 1980 with majors in Biology and Chemistry while obtaining a minor in Mathematics and received his Doctorate of Medicine in 1984 from the University of Alabama at Birmingham. Dr. Turner is a member of Alpha Epsilon Delta Premedical Honor Society and the Alpha Omega Alpha Medical Honor Society. 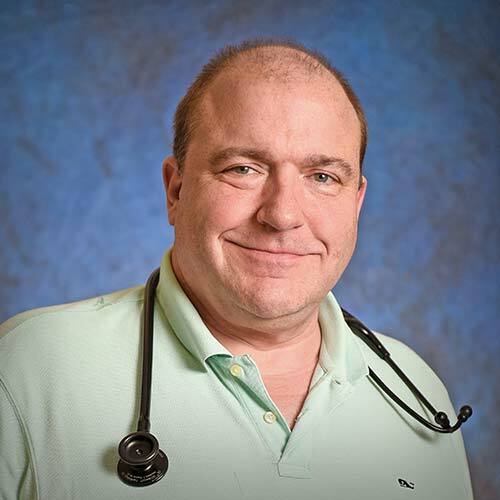 He is board certified with the National Board of Medical Examiners and the American Board of Internal Medicine and received his Alabama State license on April 6, 1987. Dr. Turner completed both his internship and Residency in Internal Medicine in 1985 and 1987 respectively at the Medical College of Georgia in Augusta. Dr. Turner and his family reside in the Birmingham area.